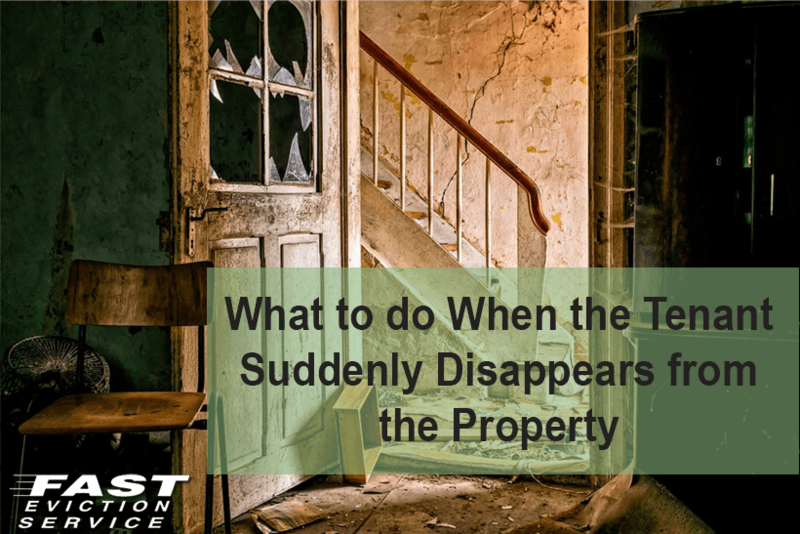 If one fine day you suddenly discover that the tenant on your property is nowhere to be found along with some of the items in your rental are also missing, your first reaction in most instances would be to panic. It’s best to remain calm in such a situation and to not take any steps that would create a problem for you in the coming future. The problem with the disappearance of any tenant is that since there are no signs of forced entry into the house, the buy-to-rent insurance company will not cover the losses. So, you would have to get an FIR lodged against the absconding tenant to get the claims the landlord deserves. One thing that you must not do in such a situation is to not change the locks. The tenant might be absconding but the lease agreement is still on. Therefore, you must not assume the end of tenancy by the tenant when he/she disappears without any news. Even if the tenant no longer pays the rent and removes certain important things from your rented house, you cannot assume that the tenancy has been ended. The first thing that you can and that you should do in such a case is to adopt a legal procedure which can help in bringing the tenancy agreement to an end. For this, you must issue a notice under section 8 or section 21. Once the notice is served and the legal proceedings end the tenancy agreement, you can take the tenant to court for any money due on your property as well. However, it’s important to first end the tenancy agreement before you can take such a step. The main problem with serving a legal notice is that in most cases, you would simply not know any alternate address of the tenant. And without an address, you won’t be able to send the tenant your legal notice. The duration of legal notices start from the moment the notice is received and therefore, it must be sent to the right address. For this purpose, you should send the legal notice to the address mentioned by the tenant in your initial screening form. With this address, you can be sure that the legal notice will be received and legal proceedings could start in earnest.